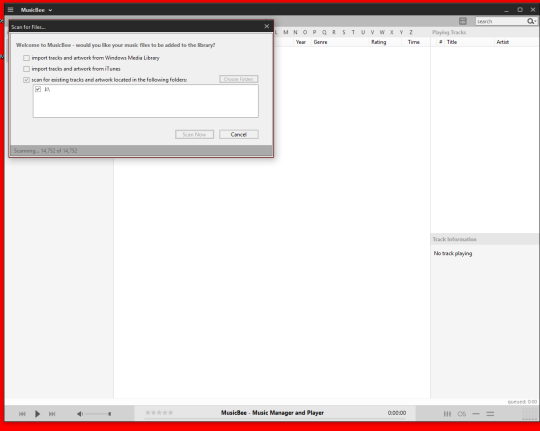 MusicBee is a desktop music manager and player. It is frequently featured in ‘Top music players’ listicles. When installing MusicBee and after selecting a music folder, there was no sign that it was importing my music. At one point I thought that the installation had crashed. Some microcopy or loading interaction would be helpful here.